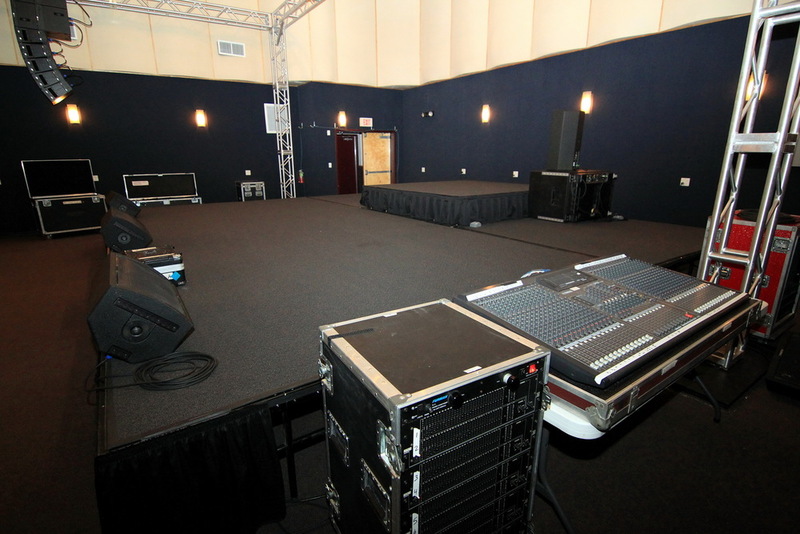 Large, clean, and discreet production rooms for touring support and post-production. Includes office w/ internet & phone, kitchen, private restrooms, & staff! Music Lab's Production rooms provide a discrete professional rehearsal space for pro touring acts, local bands, video shoots, artist showcases, and anyone else looking for an affordable pro quality rehearsal space. Music Lab's Production rooms provide a discrete professional rehearsal space for pro touring acts, local bands, video shoots, artist showcases, offsite meetings spaces, or anyone else looking for an affordable pro quality production space. DISCLAIMER: THE STAGE AND LINE ARRAY HAVE BEEN REMOVED. THE ROOM NOW COMES EQUIPPED WITH AN 8X8 DRUM RISER AND GROUND STACKED POWERED SOUND SYSTEM WITH 4 MONITOR MIXES. Your guest amount determines your hourly rate. We have a maximum capacity of 75 people. Audio or other Request's or Questions? Music Lab Production Rooms come staffed with a fully qualified sound engineer. Ten minutes from Austin-Bergstrom International Airport and five minutes from downtown and Sixth street, our clients can enjoy all the benefits of our beautiful city. Staging, sound system, and backline specifications can be tailored to meet your requirements. Loading is easy through two large bay doors and storage is available for all studios. The production studios are large spaces designed for flexibility, comfort, and privacy. 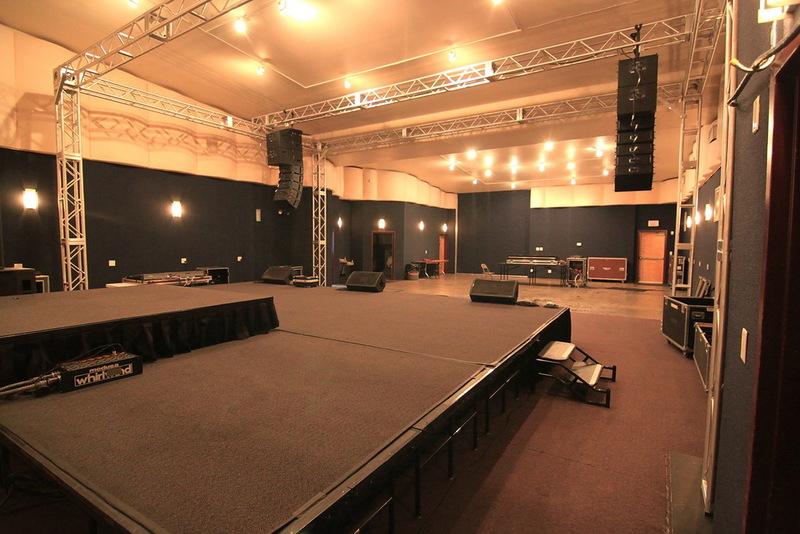 Our accommodations can facilitate tour support, large scale rehearsals, recitals, clinics, corporate events, private parties and sound stages for film. Each room is equipped with 100 amp disconnects (production room A has an additional 200 amp disconnect). Ceilings are high enough for lighting placement and there is ample parking for tour buses, trucks and attendees. There are hourly, daily, weekly, and monthly rates available.